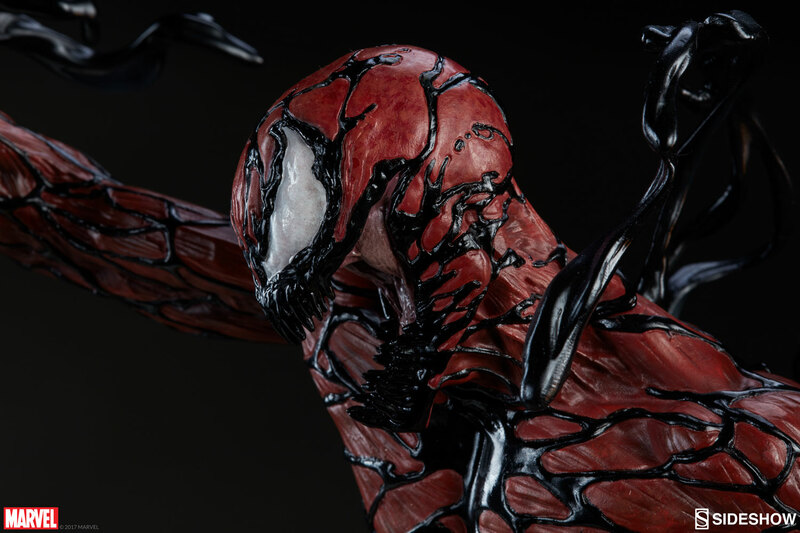 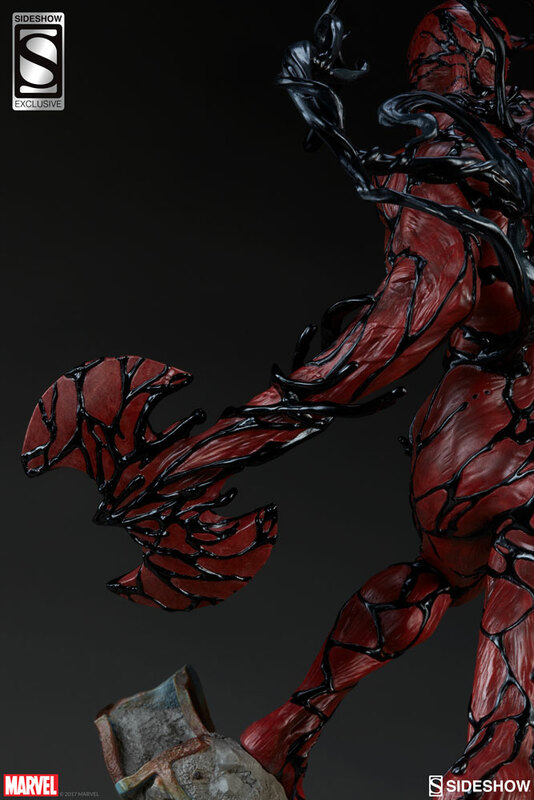 The latest addition to Sideshow’s collection of misfits, monsters, and miscreants to face off against our favorite web-slinger is non-other than Cletus Kasady himself – Carnage! 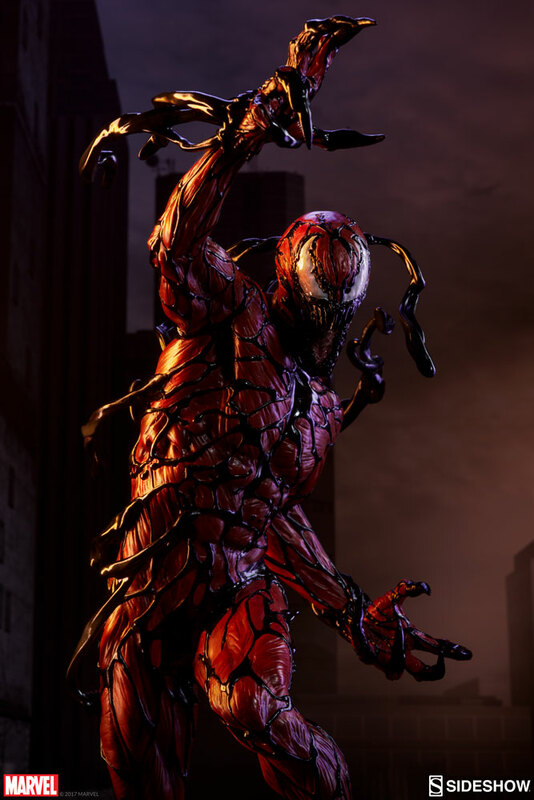 Old Cletus was never the picture of sanity at the best of times, but merging with an alien symbiote brought out all new kinds of crazy in this maniacal criminal! Sideshow is proud to introduce an all-new Premium Format™ figure that truly depicts one of the darkest sides of Spider-Man’s world, and one of the most twisted and deranged villains he ever faced! 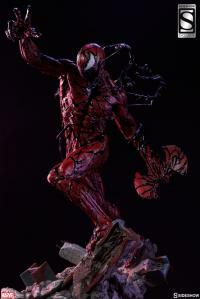 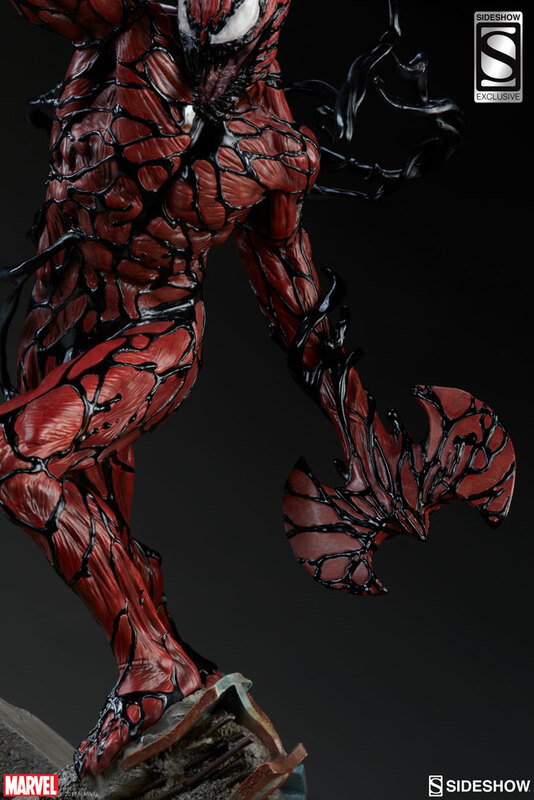 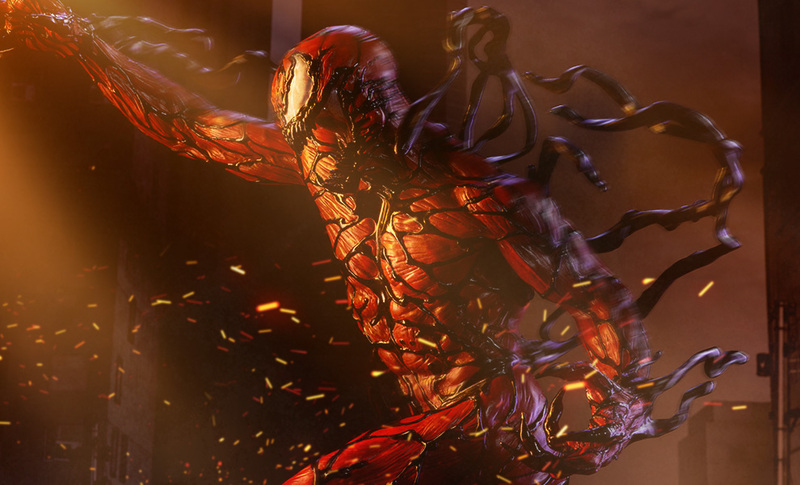 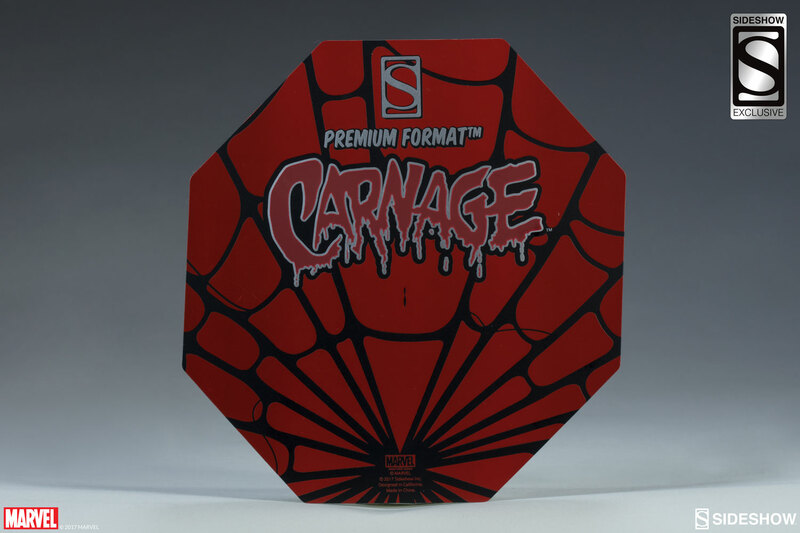 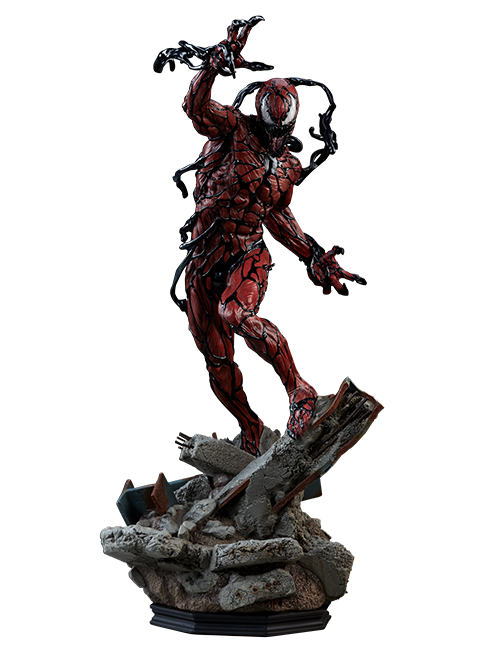 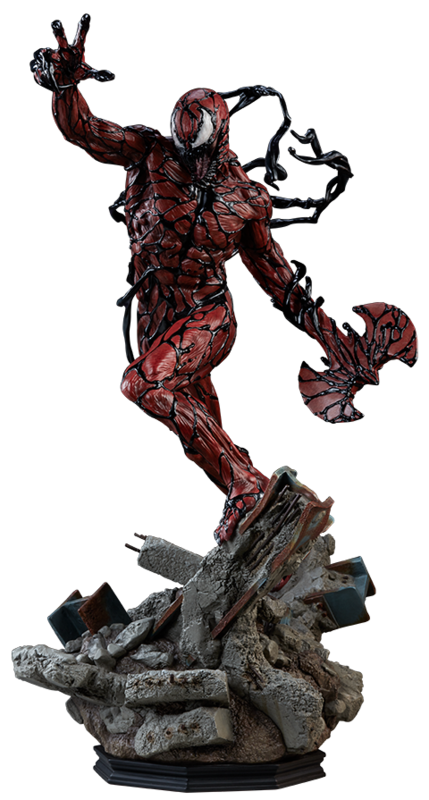 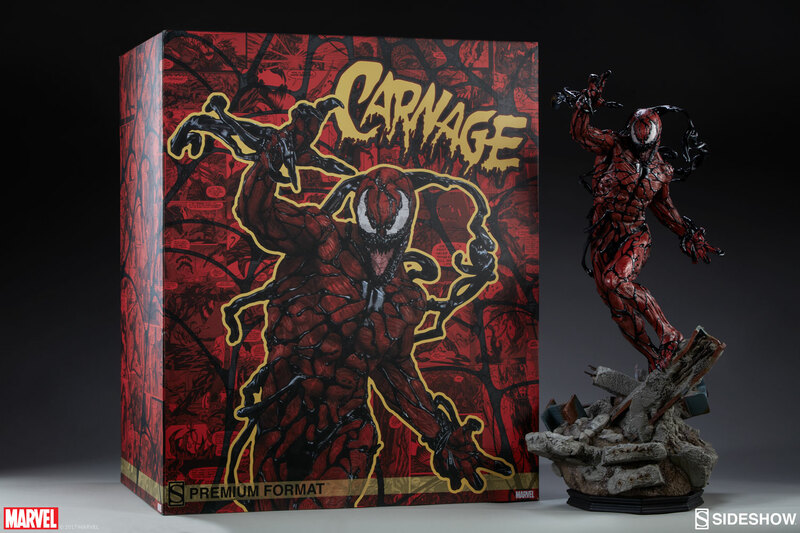 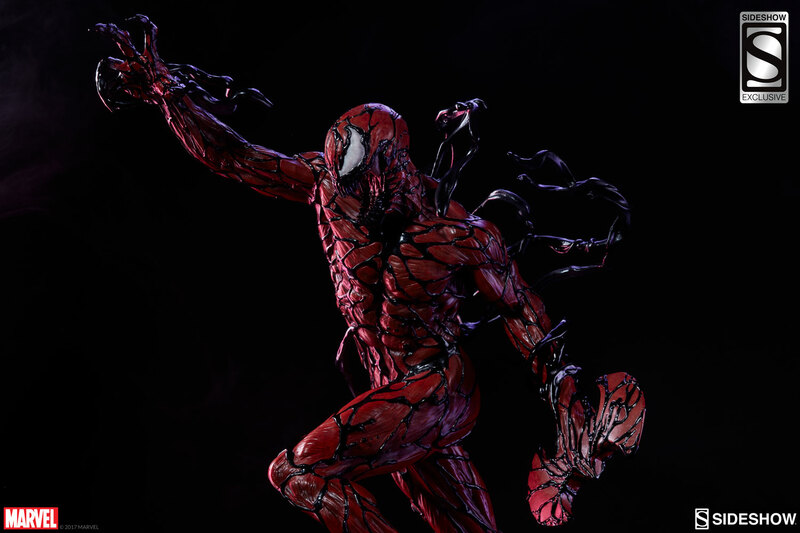 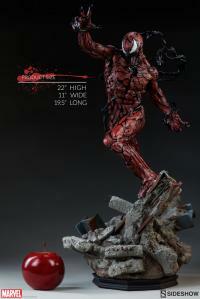 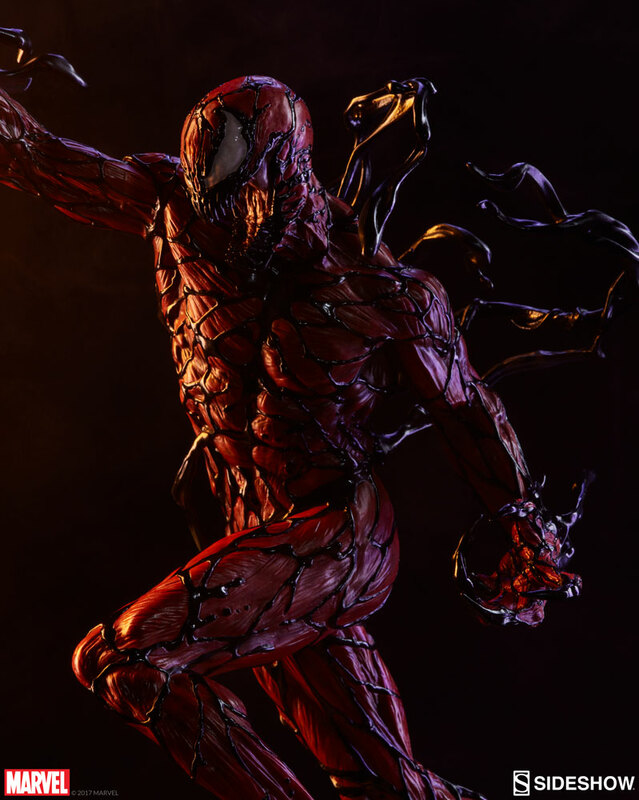 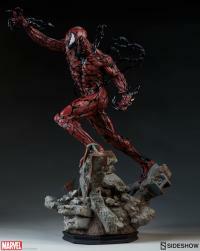 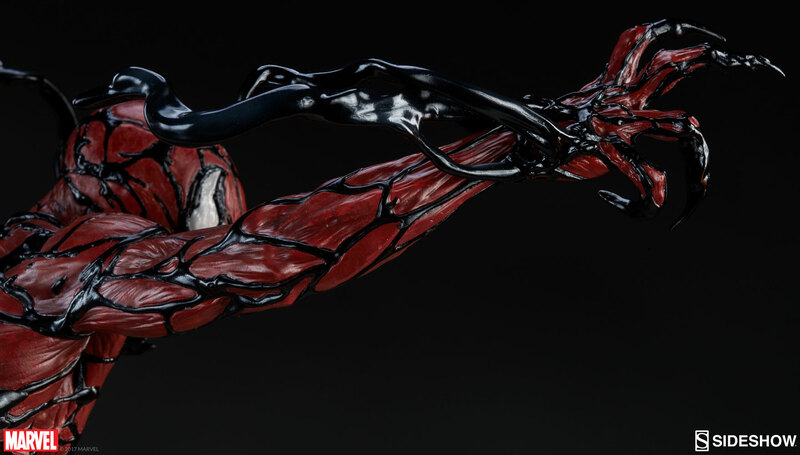 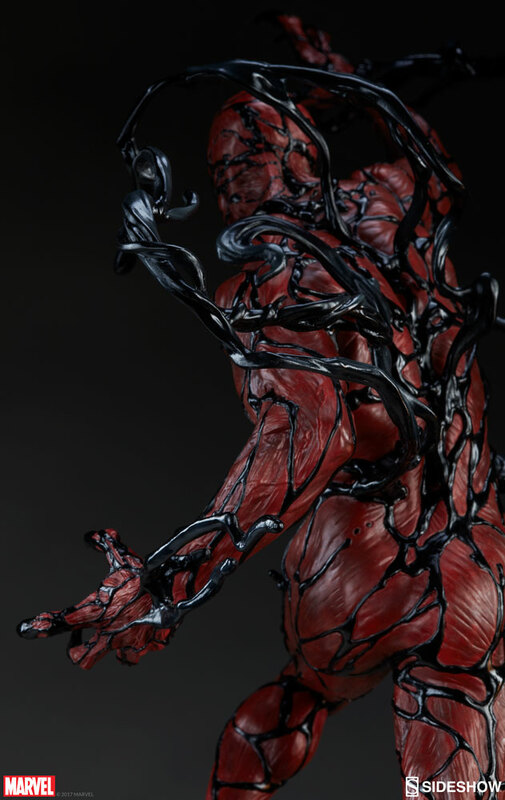 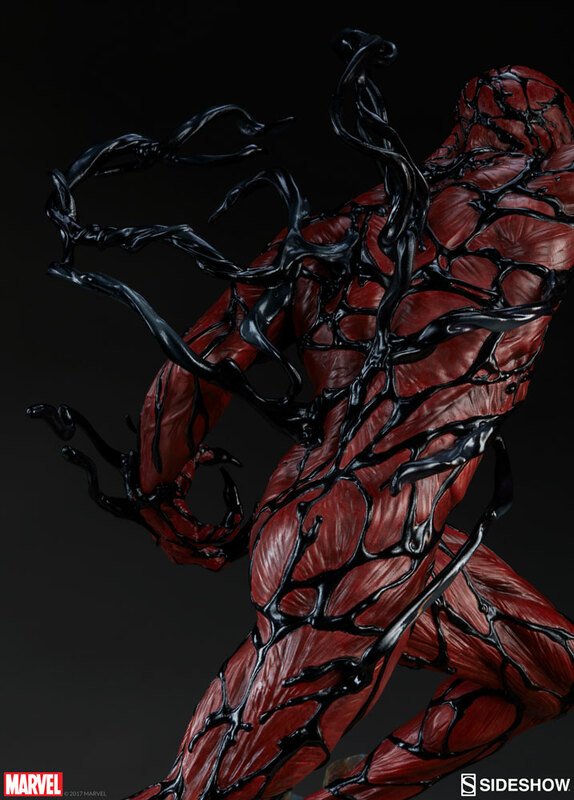 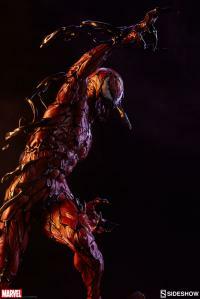 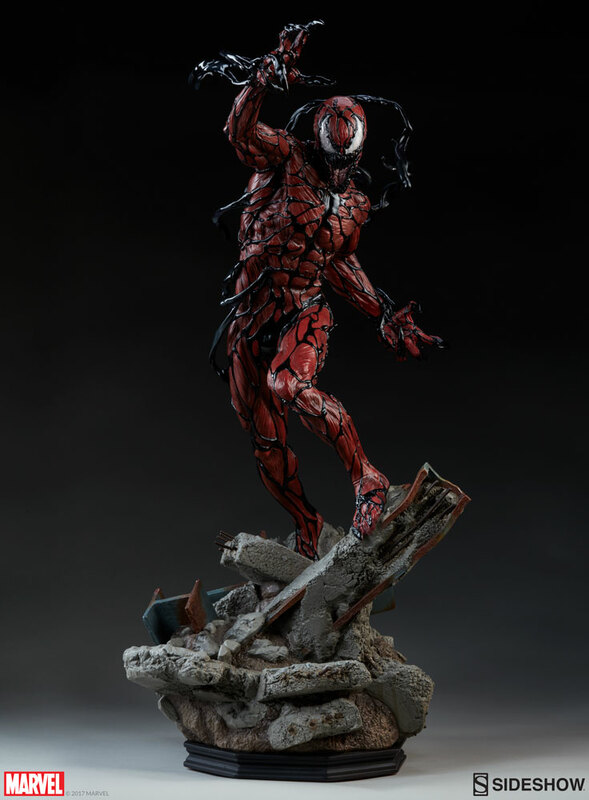 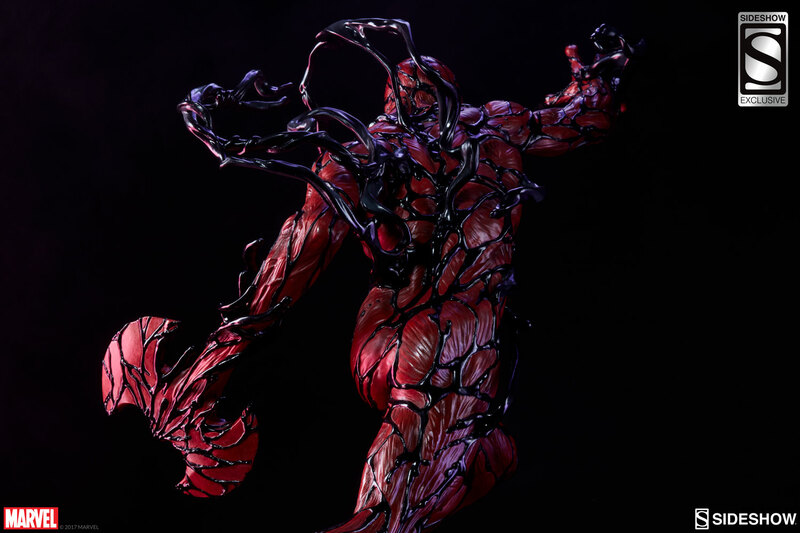 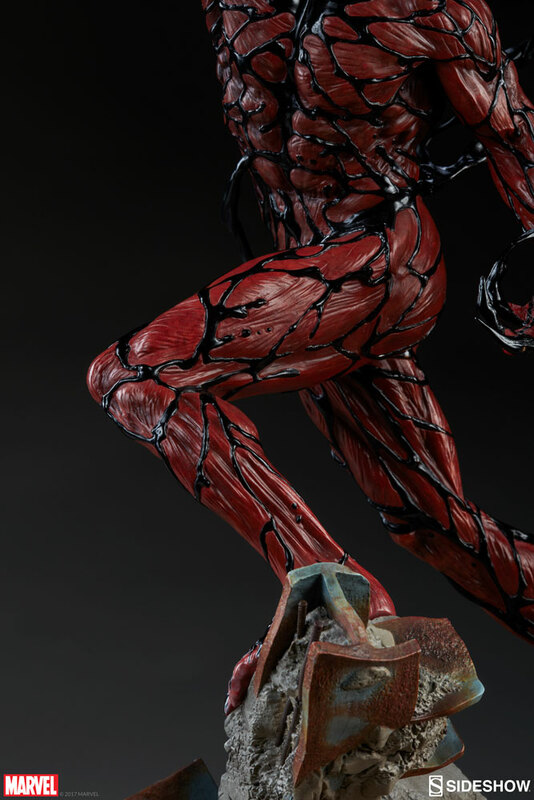 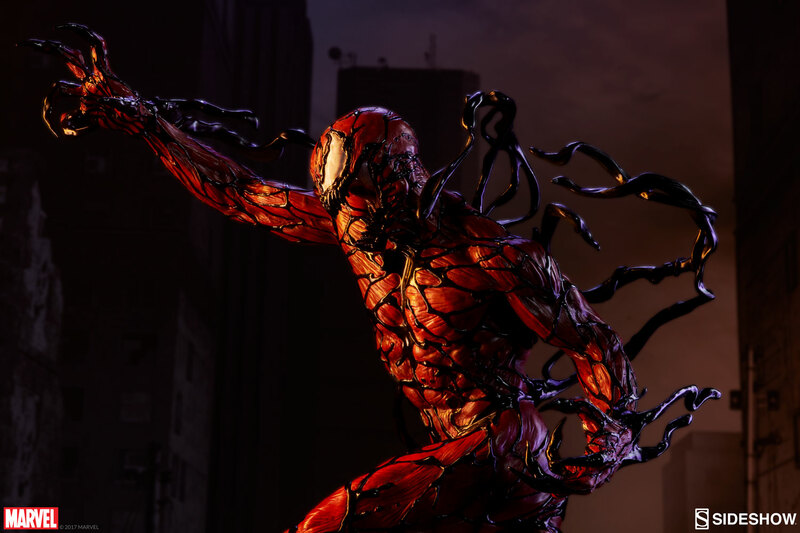 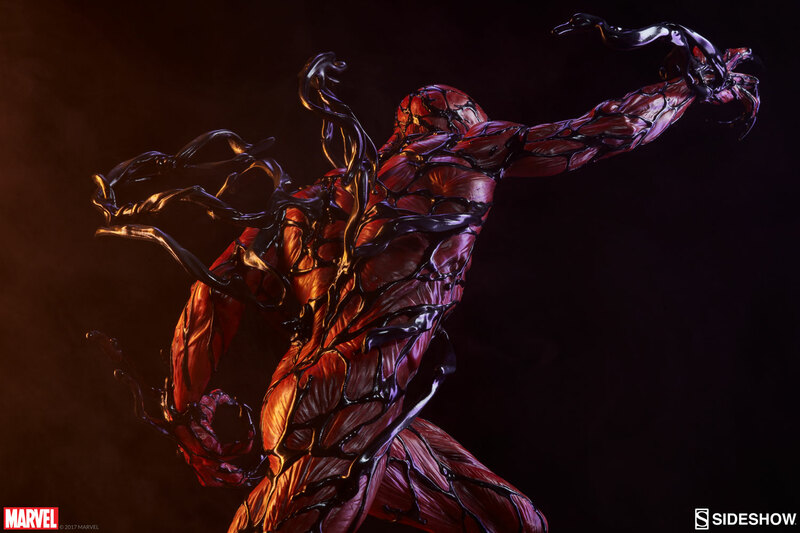 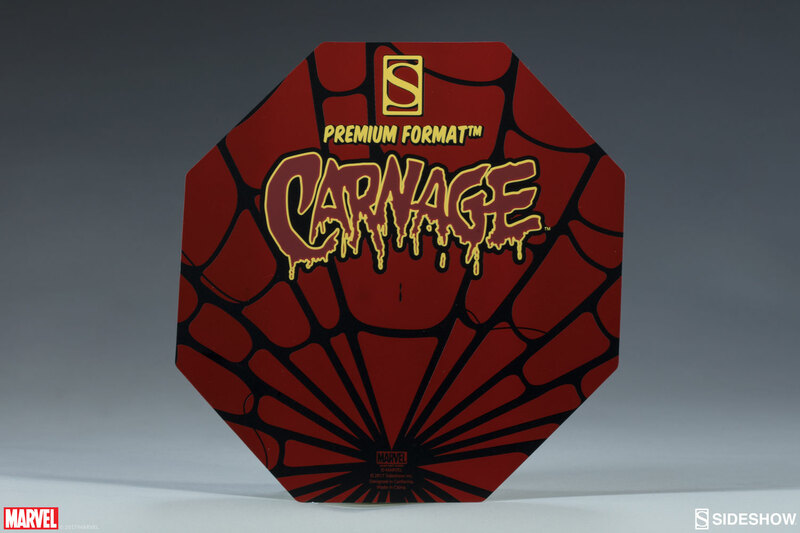 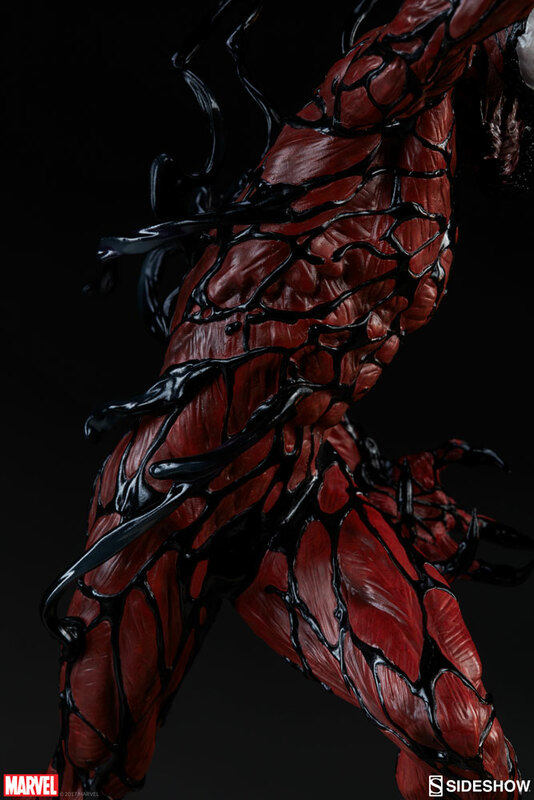 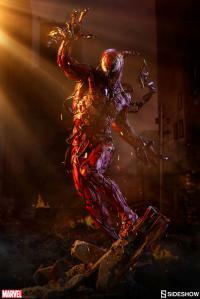 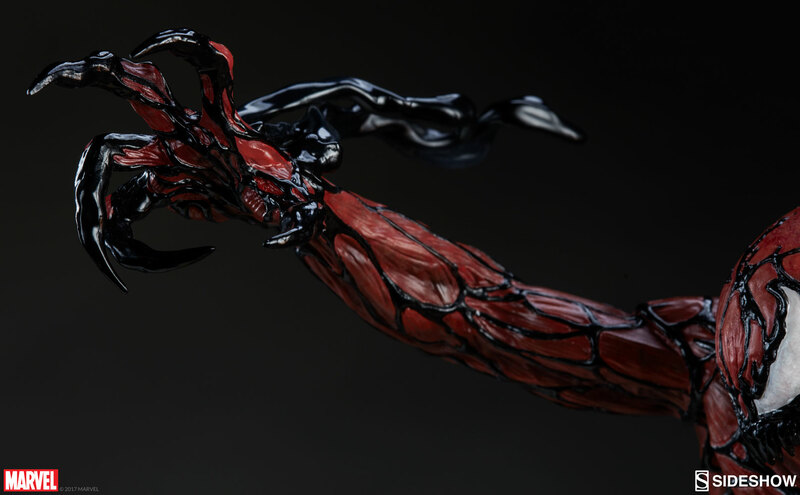 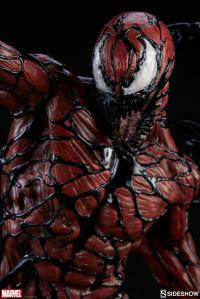 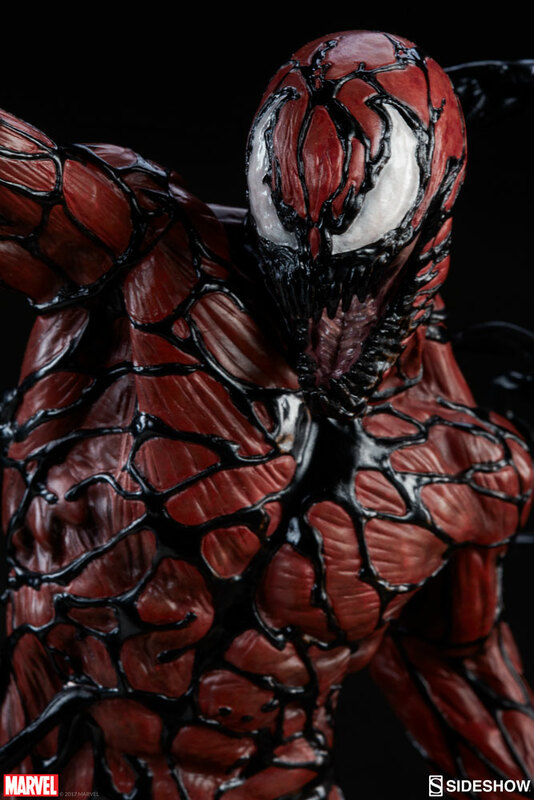 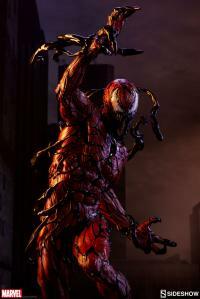 However you display your new Carnage figure - whether you choose to stage him alongside your Amazing Spider-Man Premium Format™ figure for an action-packed standoff, or add him to your own personal rogue’s gallery of villains - he is sure to become a much-loved addition to your collection! 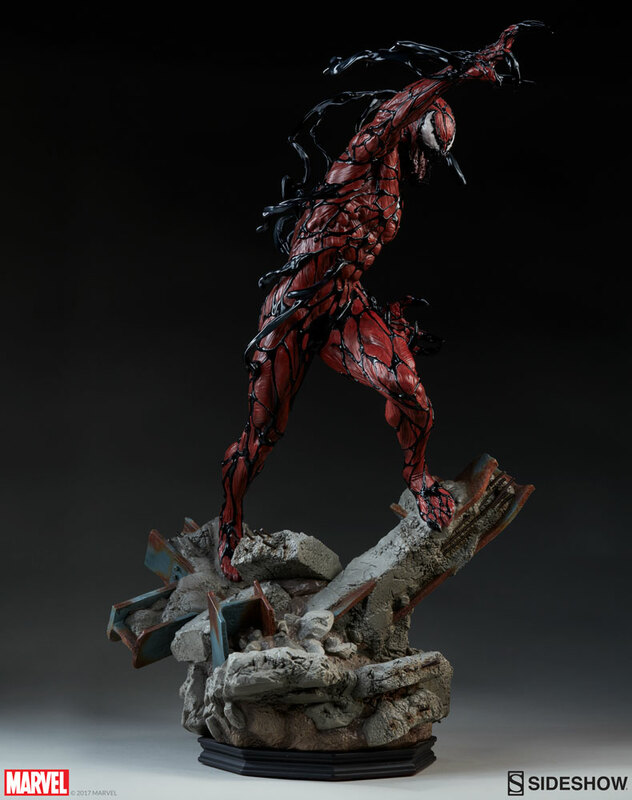 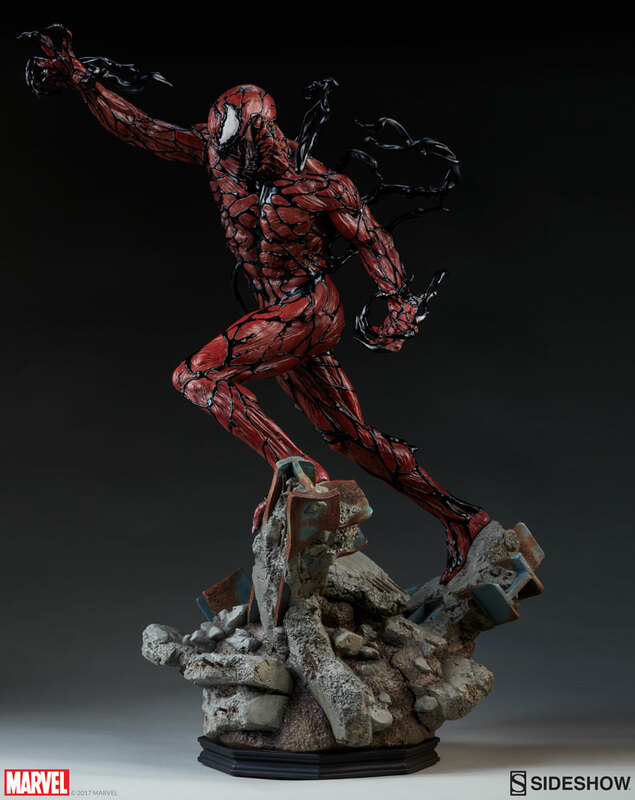 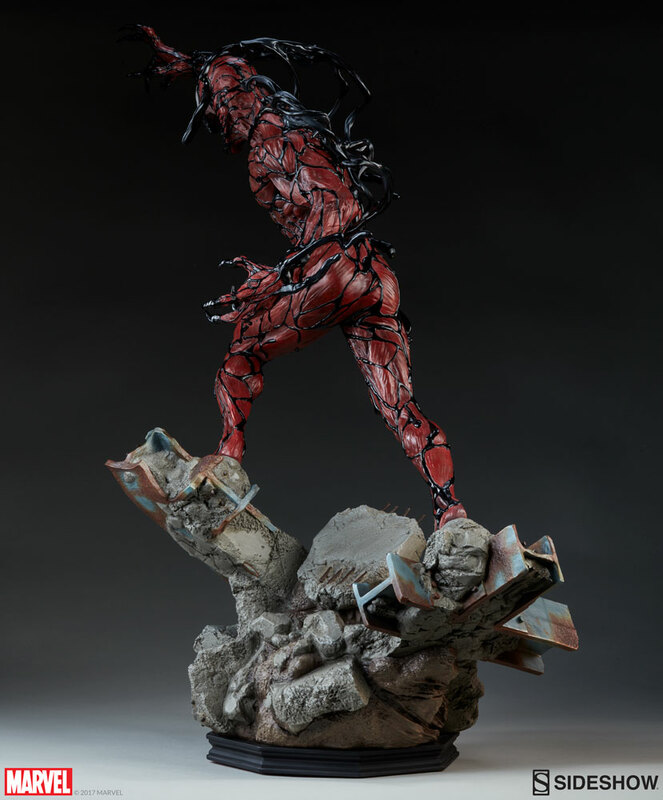 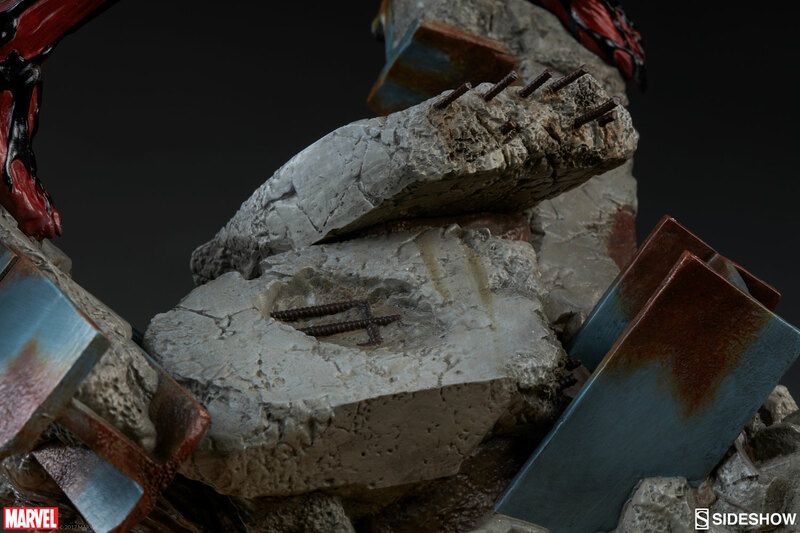 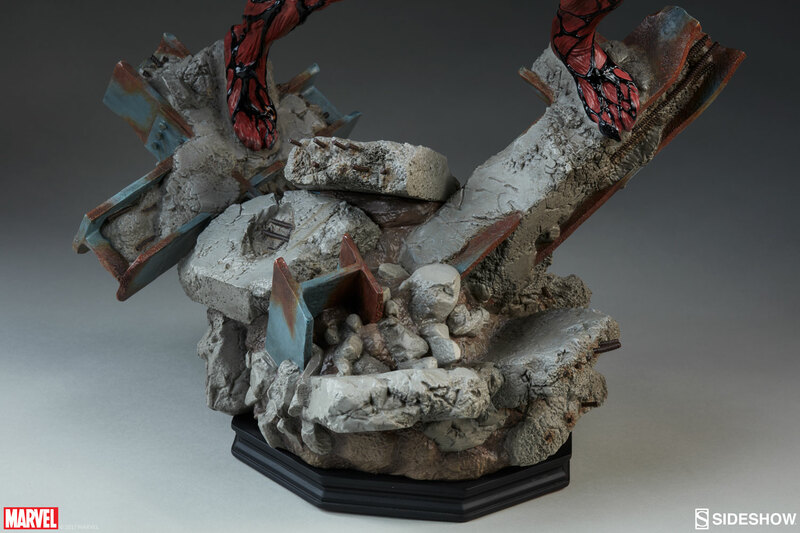 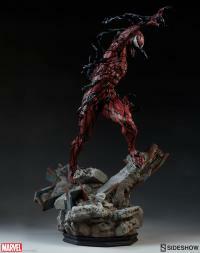 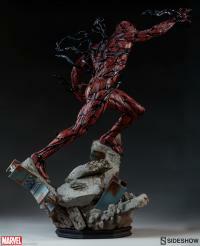 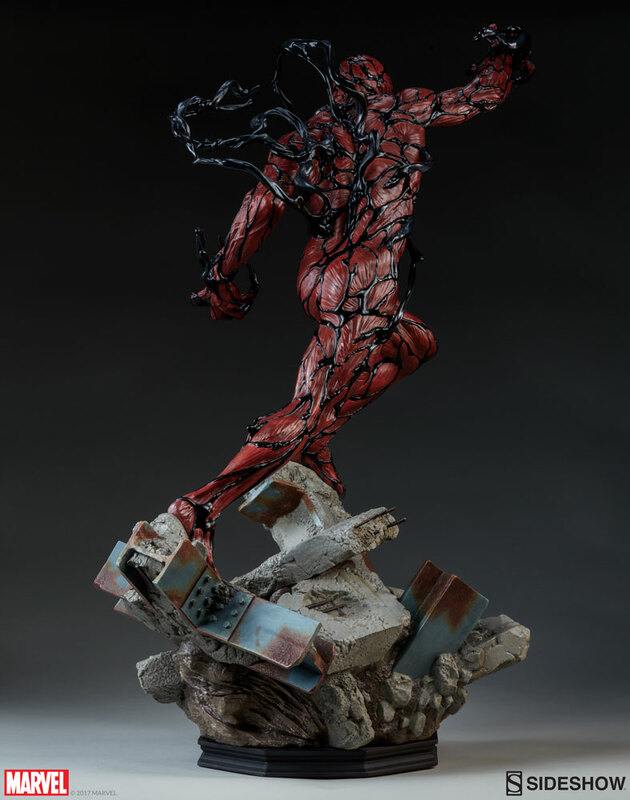 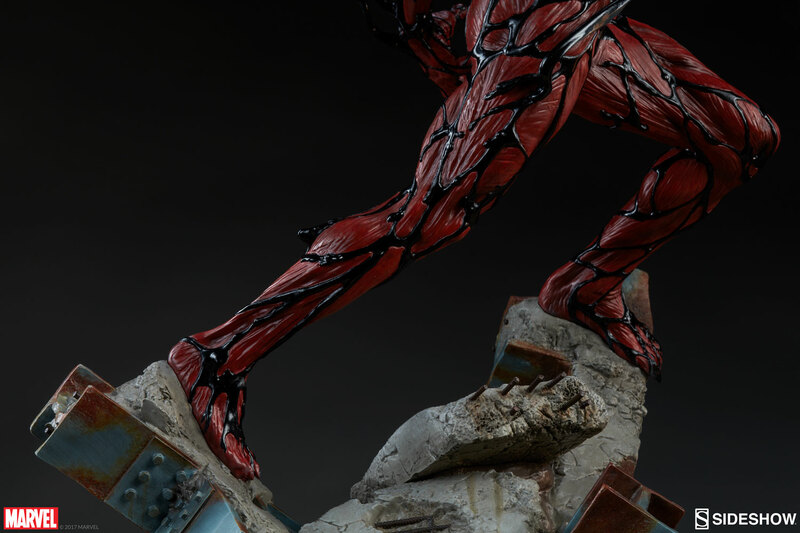 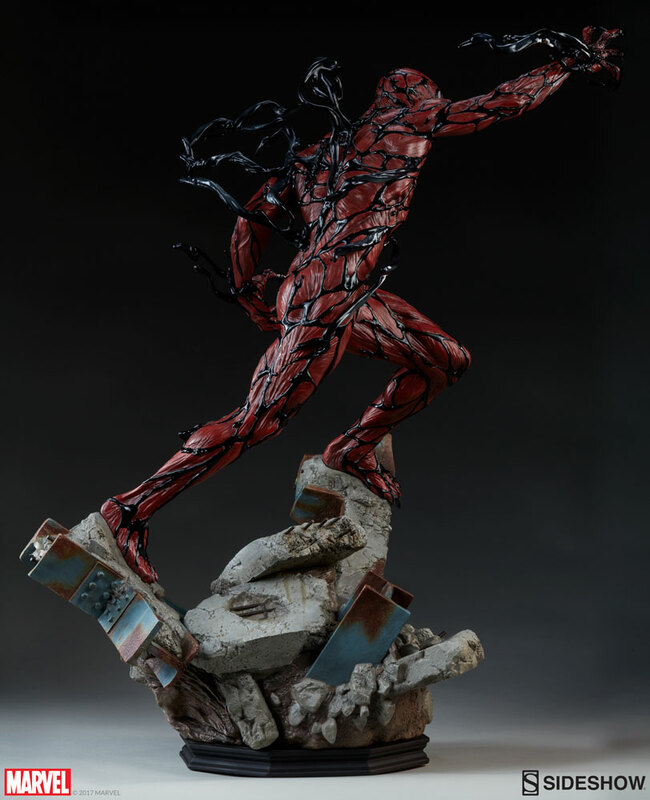 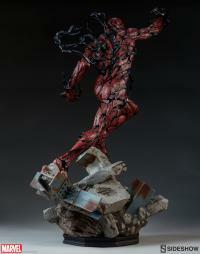 Expertly hand-painted, this truly dynamic sculpt is like a snapshot in time, showing Carnage rising from a pile of wreckage and debris, clawed hand outstretched, symbiote tendrils snaking around him, open-mouthed and shrieking defiance at the world! 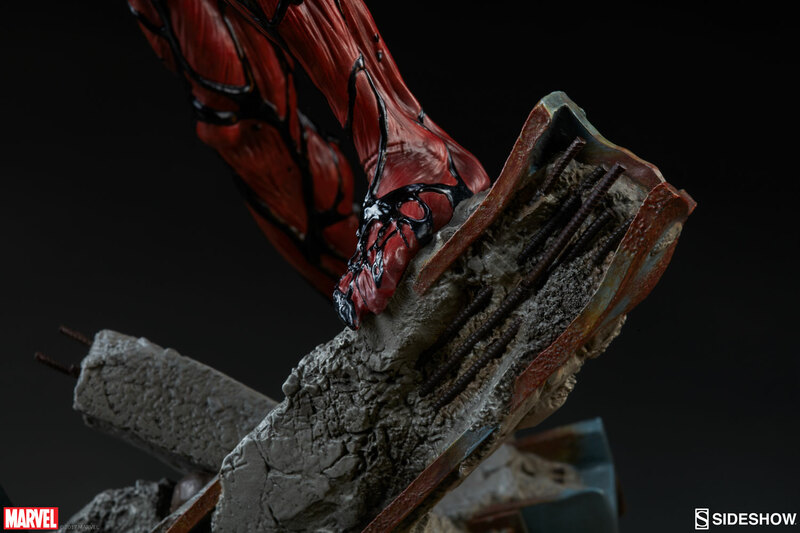 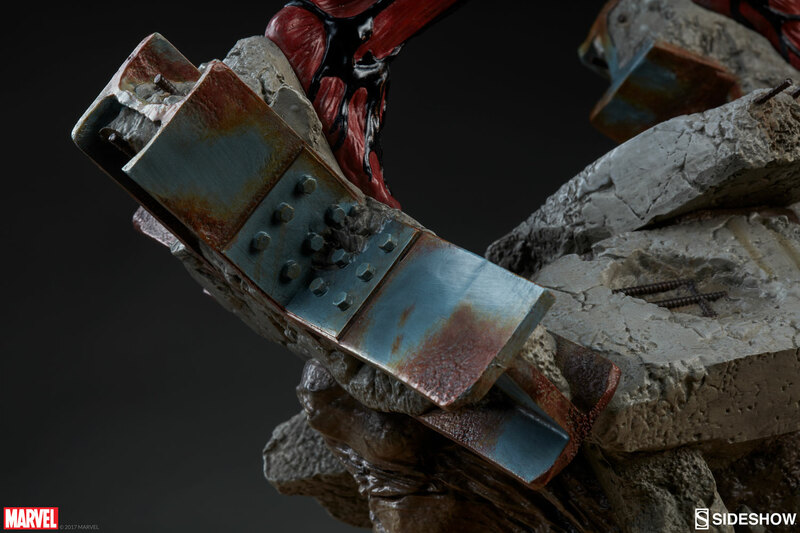 The exclusive edition features a switch out arm with a mutated hand which has transformed into a double-headed battle axe! 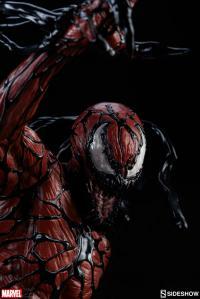 Pay as little as $240.00/mo.